Dr. Kirira and his research group are working on developing anti-cancer drugs. Alumni Plaza at MKU houses the School of Pure and Applied Sciences. It’s also the tallest building in Kiambu County. 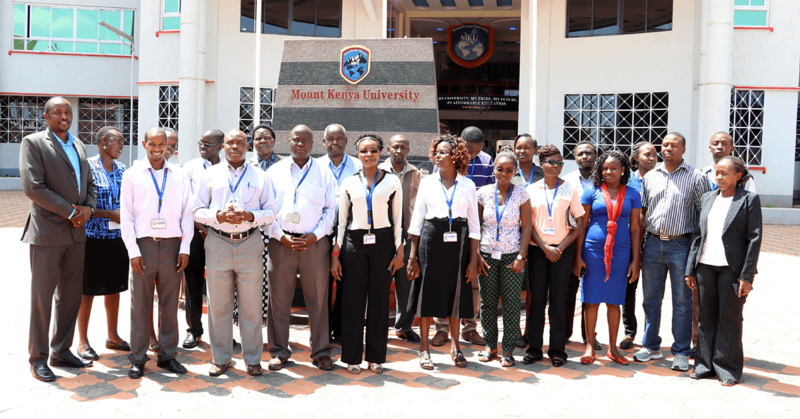 Mount Kenya University (MKU) is a private university located northeast of Nairobi, Kenya. In 2016, the university was selected to receive substantial numbers of government-funded students, transforming it into an unusual public-private hybrid. 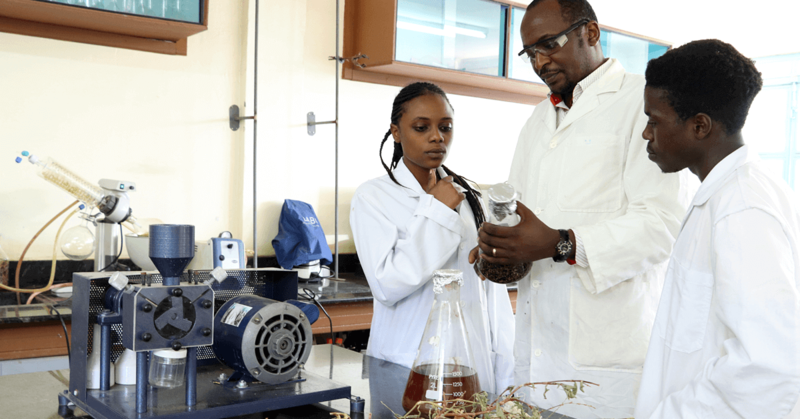 The MKU School of Pure and Applied Sciences is comprised of three departments: Animal Health and Production, Physical and Mathematical Sciences, and Biological Sciences. 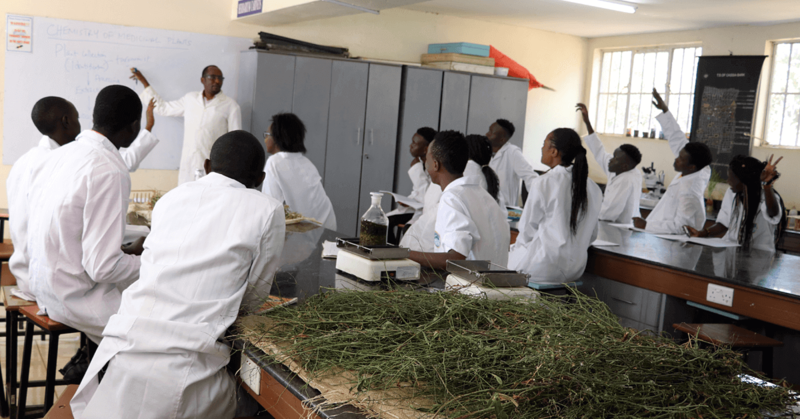 The School’s research interests include human health, agriculture and livestock, ecology, zoology, natural products, and biodiversity. The World Health Organization projects that, by 2030, non-communicable diseases like cancer, diabetes, and heart disease will become the leading cause of death in Africa, posing a weighty burden on a continent with a rapidly growing population. Kenya is no exception. The WHO estimates that NCDs are already responsible for about a third of Kenyan deaths before age 70, with cancer and heart disease being the top two killers. 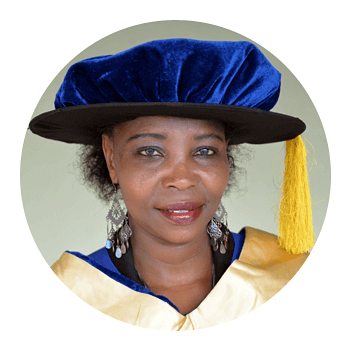 Mary Muriuki, PhD, Dean of the School of Pure and Applied Sciences at Mount Kenya University, knows that in her part of the world, the affordability of treatment for cancer and other NCDs will be almost as critical as effectiveness. "I have always had a keen interest in development of health solutions because I come from a region where people die prematurely because they cannot access or afford drugs," she says. 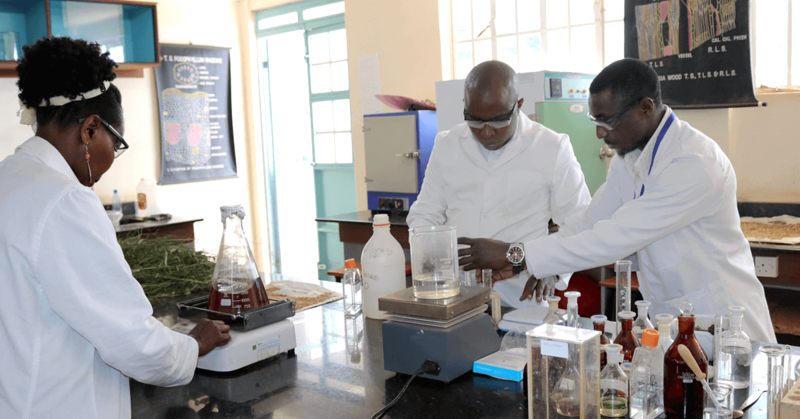 With modest research funding from the Kenyan government and an international team of collaborators, she is using her training as a synthetic chemist to search for anticancer agents close to home: in plants used in traditional Kenyan medicine. She hopes to find alternative treatments for cancer using locally-available resources. So far the team has identified plant extracts that show promise for treating cervical and prostate cancer. The next step will be to pursue these leads in order to understand the chemical mechanisms by which these extracts stop the spread of cancer cells. Dr. Muriuki hopes to receive analytical equipment from Instrumental Access that will push her work ahead. "Currently, I ship my samples to South Africa and Japan for identification," she explains. "This delays the progress of my research and it is also a costly exercise. 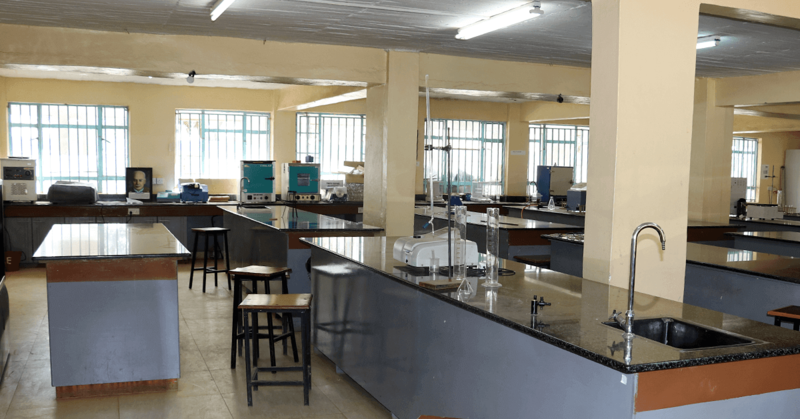 Having [spectroscopy] equipment at Mount Kenya University will be of great benefit." With a large and growing student population, this private university focused on applied sciences needs equipment to support practical training and research.